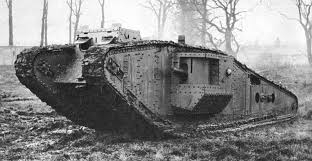 Festive Road have begun to build a full size Mark 1 Tank that will form the background to their physical theatre show inspired by realities of life inside a Great War tank. They intend to create a night-time outdoor show and are soon to begin devising exactly what will take place in the performance. There will be several performances of the piece around Milton Keynes in summer 2015 with the premiere taking place on 19th June – more info here. The Best Company are on their way to the Western Front but the external conflict is not the only thing occupying the crew’s thoughts. As we see, life inside the Mark 1 tank is busy, noisy and smelly. Tension among the company escalates and a hilarious and bizarre internal conflict occurs. As the tank spins, the characters actions become more and more surreal… war is declared and the engine judders to a holt! The show is an outdoor evening theatre piece, no longer than 40 minutes and suitable for families and for all ages of audiences.